The Gory "La Marseillaise" -- Why ? Americans, in their national anthem, seem to worry most of all whether their flag is "yet" to be seen. The English hope that their Queen will be "happy" (and, of course, glorious). But the French, the French, they sing about bloody banners, about throats being slit, and, most dramatically, they hope that the "impure" blood of (unnamed) enemies will fertilize their countryside. 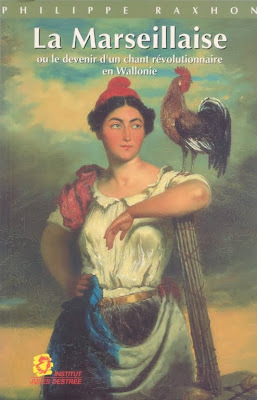 This is what I find puzzling: the French, judged in any other way, have as humane, as liberal, as tolerant a public life as any country on earth. But how did these bloody, anachronistic, sadistic sentiments remain in their official national anthem over the centuries ? It isn't that the gore has been unnoticed. More than a hundred years ago, Jean Jaurès, father of the French Left, protested against it. But now in 2009 the text is still with us, an official monument to ancient hatreds and ancient rancor. Why ? Égorger vos fils, vos compagnes ! To slit the throats of your sons and wives! Political commitments and political passions have found expression in what is known as "stirring songs." To what extent does such music contribute to causes ? The question also comes up in relation to the use of music in religion, to which I may wish to devote another posting. More than forty percent of Israeli Arabs do not believe that the Holocaust ever happened, according to a poll conducted by the University of Haifa. I have just discovered this fascinating video. It's sort of long, but what an experience ! 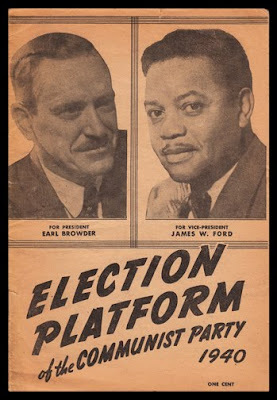 Earl Browder was the boss of the American Communist Party for fifteen years prior to his sudden expulsion in 1945. Why and how did this take place ? The issue is explored by John Earl Haynes: Moscow was displeased by some independent thinking on the part of Browder. He was warned by the Kremlin, ignored the warning, and was then unceremoniously kicked out. Udo Pastörs, member of the provincial parliament and head of the neo-Nazi NPD party in the German province of Mecklenburg-Vorpommern attacks Jews and the "Jew-Republic" (i.e. 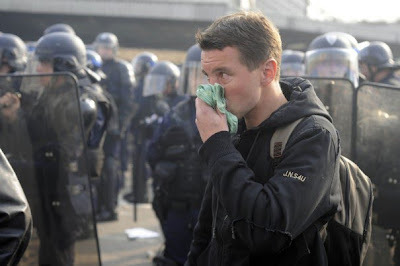 the present Germany), more openly and more directly than ever before (Feb. 2009). The video here is a documentation furnished by German TV. 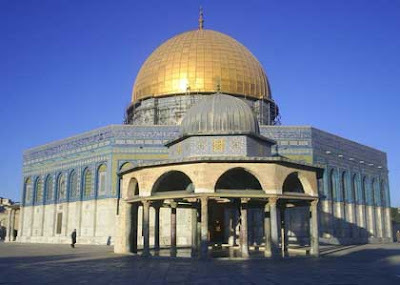 but Hamas itself has a different view: please see the video on my posting just below. 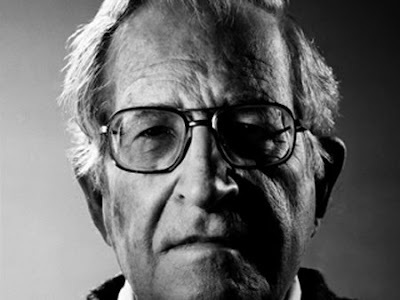 So it would seem that Professor Chomsky, at least on this particular issue, is mistaken. Well, nobody, not even at MIT, can be 100% right all the time. Members of this sect have been in New York City within the last week, picketing Jewish synagogues, among other places, declaring that "Jews Killed Jesus," "God Hates Israel," etc. About a year ago the BBC had its film maker Luis Theroux go to Topeka to do this hour-long documentary on these folk. "Derg" is a Ge'ez word meaning committee, and was used by Ethiopian Marxists to describe their regime, some twenty years ago. 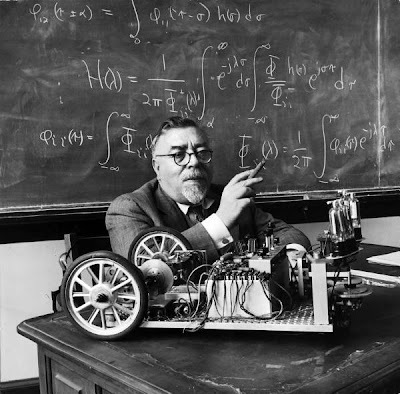 But more than Karl Marx, it was Norbert Wiener (seen here in a portrait by Alfred Eisenstaedt) who inspired the characters in this story. A Dove of Peace or a Pigeon of Death ? It is notoriously easy to claim to be "for peace." Adolf Hitler himself made this claim, but not many today give it credence. On the other hand there does seem to be a market for a claim scarcely more credible, viz. that the random killing of civilians can be an instrument not only of peace but of a "just peace." In the city of Vancouver on the west coast of Canada, a place where I lived for more than thirty years, a small group of people call themselves "Jews for a Just Peace." Some of these people are personally known to me. Some of them are indeed Jews but others are clearly not. At any rate, this JJP grouplet is devoted to denouncing Israel and praising those Arabs who make war on Israel. All that is fair enough if it weren't for the group's truly remarkable endorsement of random killings of Israeli Jews. For some four years now, and despite repeated complaints, these self-styled proponents of a "just peace" have called for random, terrorist attacks in the streets of Israel. In an "Open letter to Jews in Palestine" (their term for Israel), signed Khalid Amayreh, JJP warns that all Jewish civilians deserve death; in particular, they maintain, there is no such thing as a "personally innocent" Jew who lives in "Palestine" (i.e. Israel). You, the Jews or Zionists (whatever you like to be called) have narrowed our horizons so much that you have made us feel that only two "choices" are available to us; either to die as suicide bombers or be slaughtered as sheep. I won't give you the benefit of the doubt. I would be an idiot if I did. This "Letter" is emblazoned with JJP's logo: a stylized dove of peace. 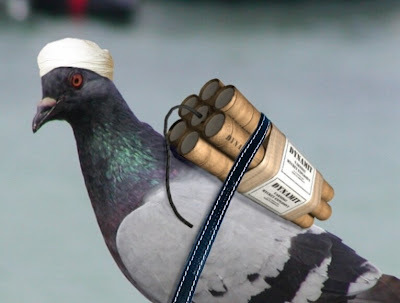 A picture of the pigeon of death would be more truthful. The Australian Queen of Beauty (Ret.) has arrived at Heathrow to support +Richard Williamson. Read a full report from the folks Down Under. Soo... Richie has been expelled from Argentina. He's off to Heathrow to meet his friend, the former beauty queen (and Davie Duke friend) Michele (one 'l' only, please) Renouf. Now Michelie Renouf has hired the Australian Holocaust-denying lawyer Frederick Toben to represent The Most Reverend Williamson in his various legal and ecclesiastic travails. Ms. Renouf and Dr. Toben were members of the renowned Fact-Finding Committee On The Holocaust, appointed by the 2006 Iranian conference that found that the Holocaust never happened. Now, don't misunderstand this arrangement. It is definitely not true that all these nice folks are anti-Semites. Nothing could be further from the truth. 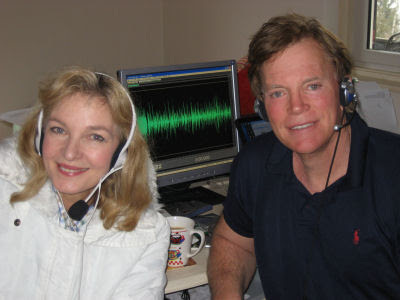 Ms. Renouf, for example, has said that she is definitely not anti-Semitic, no way, but she does allow that Judaism is a "repugnant and hate-filled religion." At least seven high-ranking German Catholic prelates have distanced themselves publicly from the Vatican on the matter of the anti-Semitic SSPX. While all statements have been respectful of the Pope, as indeed they need to be, none left a doubt that these high-ranking bishops, and in one case a cardinal, were dismayed by the anti-Semitic implications of the Vatican's reaching out to the SSPX sect. The German news service Tagesschau carries most of the details. The particularly strong statement by Cardinal Lehmann, demanding an apology from the Vatican, is reported by swr.de. 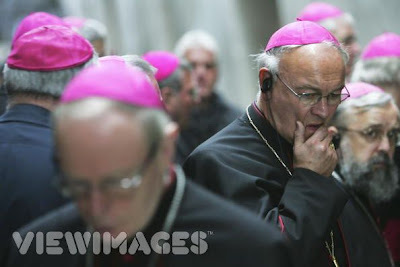 UPDATE, Feb. 4: Yet another German cardinal, George Kardinal Sterzinsky, the archbishop of Berlin, has critized the Vatican: "To lift the excommunication of the four SSPX bishops is, for most people, incomprehensible and outrageous," according to the report by Bild. The Europeans are up in arms about the Vatican's rapprochement with the Catholic anti-Semites of the SPXX. Not so the Americans. The New York Times's expert on religious affairs, Peter Steinfels, reports that American bishops have kept mum on that SSPX affair, in which Pope Benedict has revoked the excommunication by his predecessors of the] SSPX sect (see NYT, 1/30/09). In sharp contrast, European bishops, at least one cardinal, and many lay Catholics and Catholic publications have sharply criticized this Vatican rapprochement with the SSPX. And not only Catholics. Europe's most famous daughter of a Protestant pastor, Chancellor Angela Merkel, has weighed in courageously. The French and German press brings more details and commentaries on a daily basis. Since I read only German and French, I cannot comment on what the press of Italy, Spain, etc. may contain. But from what I see in Le Monde of France and Tagesschau of Germany, it appears that many prelates in Europe were moved to distance themselves from the Vatican and to reaffirm their solidarity with the Jewish community. The liberal press in these countries, which is often highly critical of Israel, nevertheless seems unanimous not only in condemning the old-fashioned anti-Semitism of the SSPX crowd, but also in expressing surprise that the Vatican has taken this startling initiative to placate SSPX. These European liberals, obviously, have agendas of their own. In France, for instance, some of the SSPX folks were found among the ultra-right Front National; historically, the sect has been identified with the Petainist right wing in French politics. Moreover, the Vatican has annoyed the liberals again this week by appointing a right-wing auxiliary bishop in Austria, a certain Gerhard Maria Wagner, apparently against the wishes of the Austrian hierarchy. European commentators also point out that Benedict, while showing great indul;gence toward his right-wing, remains resolutely hostile toward the liberal and left-wing forces in his Church. English-only readers may wish to consult the English-language version of Der Spiegel, which recently featured a background article. But, as is the case with Chancellor Merkel, European reaction cannot be reduced to political or theological liberalism. 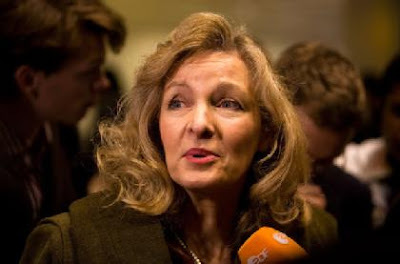 She is, remember, head of the CDU, the conservative party of her country. Hers is now the most conspicuous criticism of the Pope. She has publicly demanded from Benedict XVI that he explain clearly: is it or is it not acceptable, to deny the Holocaust ? According to Tagesschau, the Vatican has responded as follows: we have nothing to explain. Now President Obama --- has he said anything ? I actually don't know. So here we have yet another leader of the SSPX sect. He is Floriano Abrahamovicz, or Father Floriano Abrahamovicz to those willing to give credence to an SSPX's ordination. He is the spokesman for North East Italy of the sect. He says that he has Jewish origins on his father's side (may G'd help us). 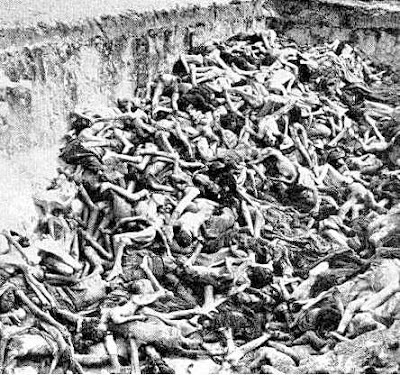 In an interview with an Italian newspaper yesterday, Father Floriano Abrahamowicz, spokesman for the Society of St. Pius X in northeastern Italy, called the Jews “the people of deicide.” Insisting that the Society is not anti-Semitic-- “it’s truly impossible,” he said, “for a Catholic Christian to be anti-Semitic”-- Father Abrahamowicz nonetheless came to the defense of Bishop Richard Williamson’s “imprudent” comments on the Holocaust. 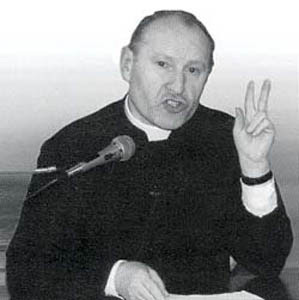 Father Abrahamowicz added that he does not know how many Jews died in the Holocaust and whether the gas chambers were used for purposes other than disinfection. What does the Pope think ? The Jesuit magazine America carries a disquieting article. It suggests that the Pope is preparing a full-fledged rehabilitation of the SSPX people, essentially on their terms. Its seems that the notorious anti-Semitism of the SSPX seems to bother the Pope less than their ultra-conservatism pleases him. Mit dem Kreuzestod Christi ist der Vorhang des Tempels zerrissen, der Alte Bund abgeschafft, wird die Kirche, die alle Völker, Kulturen, Rassen und sozialen Unterschiede umfasst, aus der durchbohrten Seite des Erlösers geboren. Damit sind aber die Juden unserer Tage nicht nur nicht unsere älteren Brüder im Glauben, wie der Papst bei seinem Synagogenbesuch in Rom 1986 behauptete; sie sind vielmehr des Gottesmordes mitschuldig, so lange sie sich nicht durch das Bekenntnis der Gottheit Christi und die Taufe von der Schuld ihrer Vorväter distanzieren. Im Gegensatz dazu behauptet das II. Vatikanum, man könne die Ereignisse des Leidens Christi weder allen damals lebenden Juden ohne Unterschied noch den heutigen Juden zur Last legen (§ 4). With the death of Jesus on the cross, the old covenant is abolished. The Church now encompasses all peoples, cultures, races, social classes. With that, not only are the Jews of our days not "our elder brethren in faith," as the Pope maintained in a visit to a Rome synagogue in 1986. They are, rather, guilty of the murder of God, insofar as they do not embrace the divinity of Christ and accept baptism, the only actions that would distance them from the guilt of their forebears. But Vatican II maintains, wrongfully, that the sufferings of Jesus cannot be attributed either to the Jews of His days nor to the Jews of our days (§ 4). This is an excerpt from a letter sent by Fr. Franz Schmidberger to the Roman Catholic bishops of Germany in October 2008. Fr. Schmidberger is the German head of that very Society of St. Pius X (SSPX -- see previous posting) whose members have now been re-admitted to full communion in the Roman Catholic church by Pope Benedict.